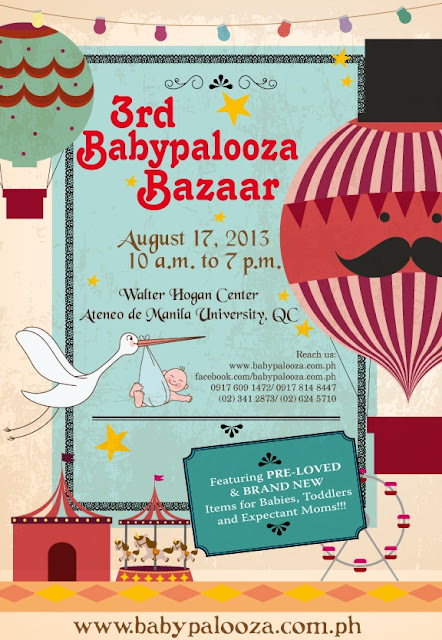 Hey mommas and poppas who have been here on my blog since Babypalooza Bazaar 1, it's their 3rd wave already! Yes, same thing --- pre-loved and brand-new baby items. But this time, more and more sellers have signed up, and it will only happen on ONE DAY. So make sure you're early to catch the biggest worms --- er --- best strollers and stuff parents like us would love to see on super discounted amount. denise, are they selling only baby things? i want to go to that bazaar kse.